Welcome to Stonebarger Chiropractic Clinic! Durant Chiropractor Dr. James Stonebarger understands that you might feel unsure of where to turn when you need help with a health challenge. Dr. Stonebarger’s decision to become a chiropractor was thanks to his own successful experience seeing a chiropractor for injuries he’d sustained. It was there he first learned about the natural healing of chiropractic, and he offers our community the same healing help. You don’t have to suffer needlessly. Stonebarger Chiropractic Clinic is here for you! Stonebarger Chiropractic Clinic has been open for over twenty years, providing health care to Durant-area residents. Chiropractic is drug-free, surgery-free and completely natural. Spinal problems rarely get better on their own. Instead, they can keep you from being able to live your life. We can get you back to doing the things you want to do. We’ll start with an extremely thorough analysis to understand the nature of your problem. Then, you’ll be given precise, effective chiropractic care to restore your health. 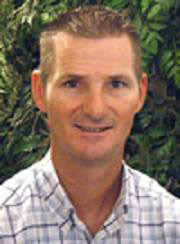 Dr. Stonebarger is a Certified Spinal Trauma Practitioner. With this training, he gained extensive knowledge in providing care for people with whiplash and temporomandibular join (TMJ) disorders. We see a variety of patients seeking help with many different conditions, including all ages. Begin your journey towards better health today by consulting the Durant chiropractor who understands what it’s like to need help with your health concerns. Contact our practice today to get started! their health through Chiropractic since 1993. Dr. Stonebarger was awesome! My first time to a chiropractor for back pain and I feel so much better after just one day!! Thank you so much! I will be back and refer my family’s chiropractic needs here as well.